RalphJordanWilliams changed some attributes to One Button Hacking for Prey 2017: Summary changed. 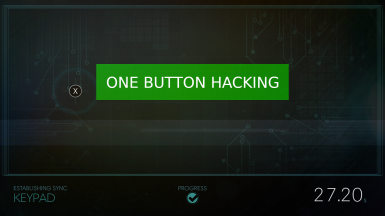 RalphJordanWilliams changed some attributes to One Button Hacking for Prey 2017: Description changed. RalphJordanWilliams changed some attributes to One Button Hacking for Prey 2017: File 'Main file' changed to 'Prey - One Button Hacking'. RalphJordanWilliams changed permissions for One Button Hacking for Prey 2017: Author changed their file credits.